Hyderabad/New Delhi: Rahul Gandhi's salvo targeting Telangana chief minister K Chandrasekhar Rao over dynastic politics has ricocheted back, with TRS leader KT Rama Rao calling it "joke of the millennium". "Some so-called 'national leaders' of 'national' parties who can’t even win an election in their own backyard, make tall claims elsewhere. Indian National Congress leadership talking of 'family rule" has to be the joke of the millennium. Classic comedy," Rao, son of the Telangana chief minister, wrote on Twitter. The Congress vice president was in Sangareddy in Telangana on Thursday where he attacked the chief minister, accusing him of taking care of only his own family. Without naming Rao's son KT Rama Rao, a minister in his government, daughter and Lok Sabha member K Kavitha, and nephew Harish Rao, also a minister, Gandhi had asked if students and farmers fought for the creation of Telangana for a "single family". "Has the state been created just for four people," Gandhi said and alleged that the chief minister was not taking along with him students, youth, women and the backward classes. In New Delhi, apparently apprehensive of the possibility of questions being asked about Gandhi's remarks against dynastic politics, some Congress leaders at the party's briefing were overheard talking about the likely posers from the media. 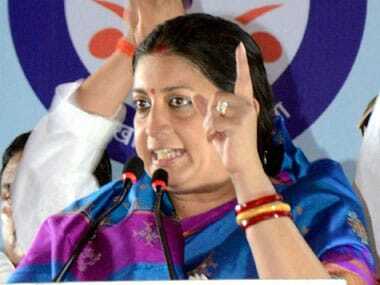 Union Minister Smriti Irani quickly latched on to it and posted on Twitter: "Comedy of errors? Dynasty ke statement par dynasty ke supporter kya bolein iss par gehen calculation (Serious calculation over how supporters of dynasty should respond to statement on dynasty)." 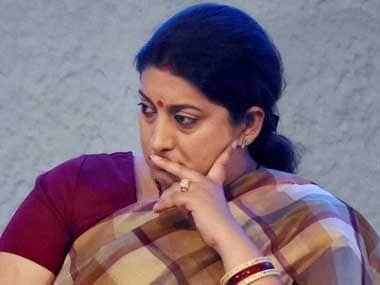 In the video of the Congress' press conference put out by Irani, a party leader is heard talking to its spokesperson Abhishek Manu Singhvi about Rahul Gandhi's comments. He is also heard on microphone telling Singhvi that nobody from the Gandhi family has been in power since Rajiv Gandhi, apparently a suggestion to counter questions on Gandhi's dynasty jibe at Rao. Later, Singhvi mounted a counteroffensive against the BJP, saying the saffron party has been an ally of the Akali Dal and Shiv Sena, which pursue dynastic politics. 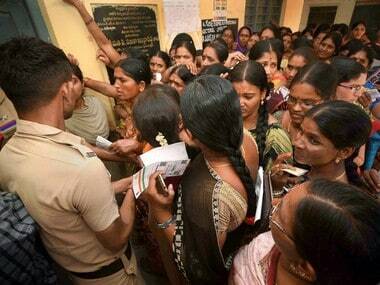 "When you talk of errors and a miss, you obviously don't look at the detail and the BJP will answer this question. All those who ask this question, like BJP and others, like an ostrich in the sand forget to ask the question of Akalis or the Shiv Sena who are their longest allies. Dynasty is forgotten that time," he said. Singhvi said in the last 28 years, of which Congress has been in power for 16 years at the Centre, no leader from the Gandhi family has occupied any government office despite winning elections. "So let us put things in perspective. I think this (the question about dynastic politics) has lost its logic," he said. 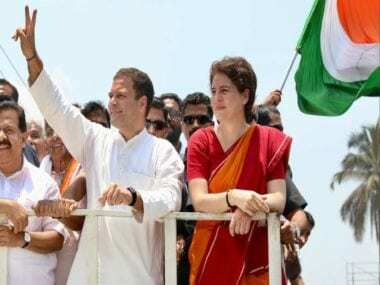 "It is an irony that a member of the Gandhi family, which is the biggest example of the dynasty politics in India, is accusing another leader of promoting dynasty," BJP's media department head Anil Baluni said.